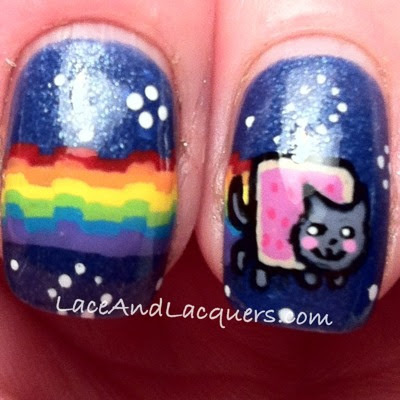 Sooooooooo one of "the list" nail art suggestions was Nyan Cat, actually two people suggested it. So I did it, like I promised! More pictures after the jump! 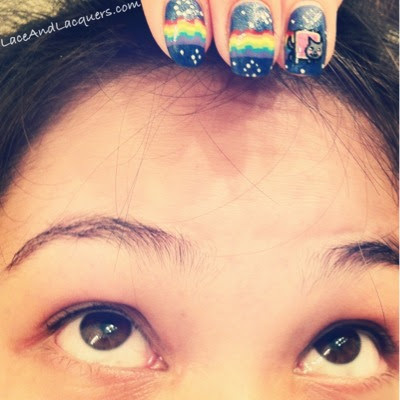 If you're interested in my execution, there's really no method I just looked at the video and copied it onto my nails. PHEW! 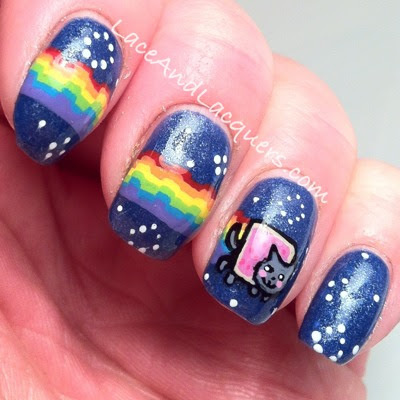 Hope you guys enjoyed this manicure, especially the 2 who requested it! 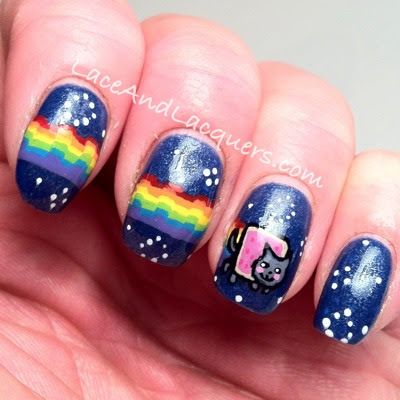 Lol these are so freaking cute! 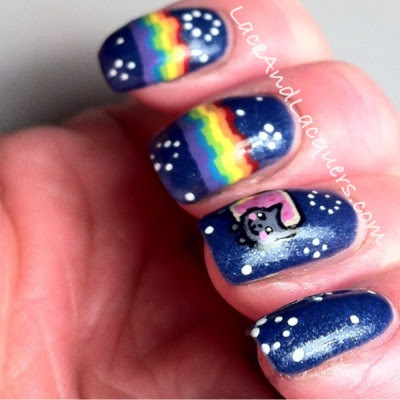 These are so so cute! S#@%&ing out a rainbow - LOL!!! 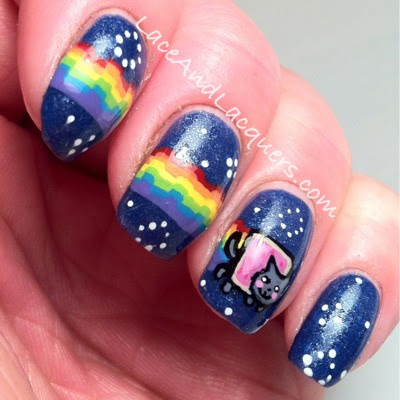 I don't know anything about Nyan cat, but this manicure is really nice! I love the colors you used; they look really nice together. That first shot is SO adorable!